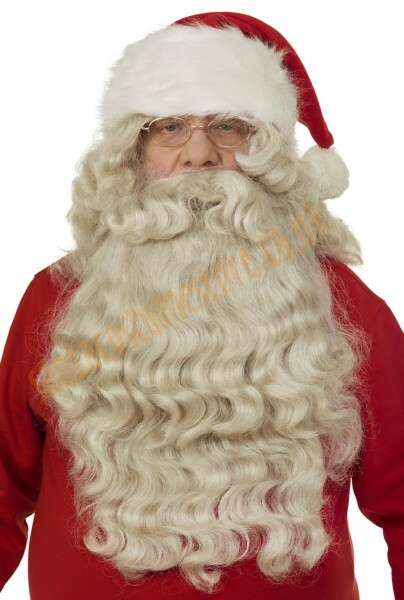 Santa’s beard, in a set with a wig, is exceptionally thick and curly, and it really is very, very long. 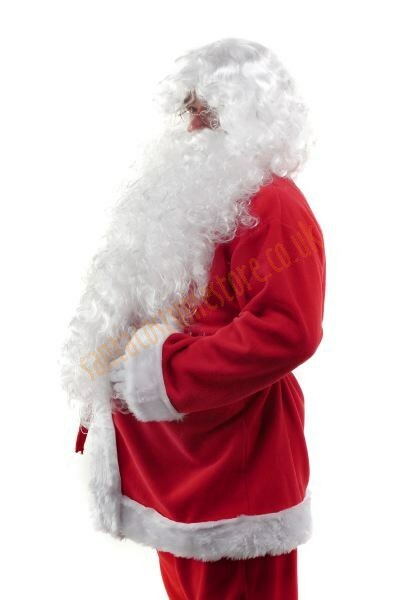 The hair hangs a full 23.5" (60 cm), so it reaches down to Santa’s waist! Such a beard is something everybody will loooooooong remember! 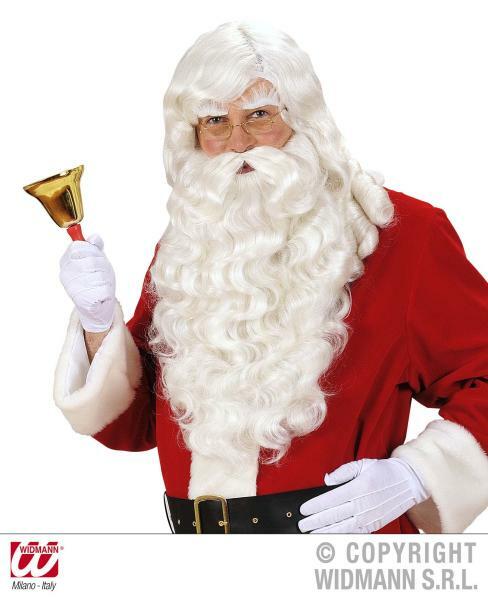 Our Santa beard boasts a lush, bushy moustache. It is held in place with two elastic straps, although you can also use special beard adhesive. 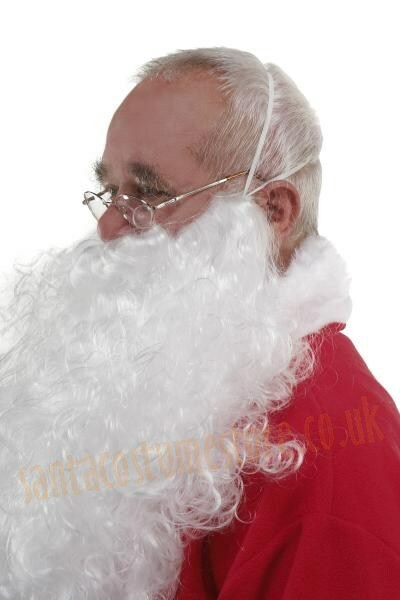 The wig’s hair flows in gentle curls to the wearer’s shoulders, thereby covering their own hair and ears – as well as the elastic straps holing Santa’s beard in place. 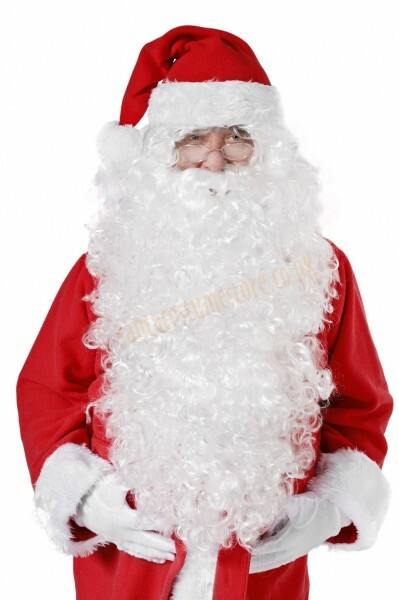 With such a costume you really can feel like an authentic Father Christmas. Besides, even he doesn’t have such an exceptional beard or head of hair! NB: this product does not include the jacket, trousers, hat, glasses or gloves shown in the photos. However they can all be purchased separately.